This leg has been designed to offer some respite, but is still by no means easy. The last leg will have taken a bit out of you and you'll probably be glad of some slightly easier ground. As you head east out of Kinlochewe via Incheril and climb towards the Heights of Kinlochewe, the wide, flat track will take you quickly onwards all the way up Gleann na Muice to Lochan Fada. Enjoy the easy going while it lasts, it gets tougher from here on. From Lochan Fada you strike northeast contouring to Bealach na Croise. Stay as high as you can - dropping down will lead you into boggy hell. This section is rough and difficult to navigate in poor conditions. From here a rough but reasonably well defined path takes you along the lochside all the way to Starth na Sealga where a 4x4 track runs out to superbly located bothy at Shenavall (NH 066 810) although the last bit of path is rough and boggy. 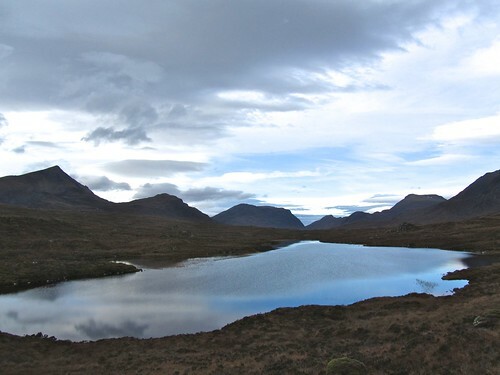 There are also great camping spots around here and the view out to Loch na Sealga is one of the trail's finest. The easy start to this leg is deliberate, but if you're after something more challenging, you could head north west from Incheril and climb Gleann Bianasdail. The river crossing at Lochan Fada can be difficult, however. 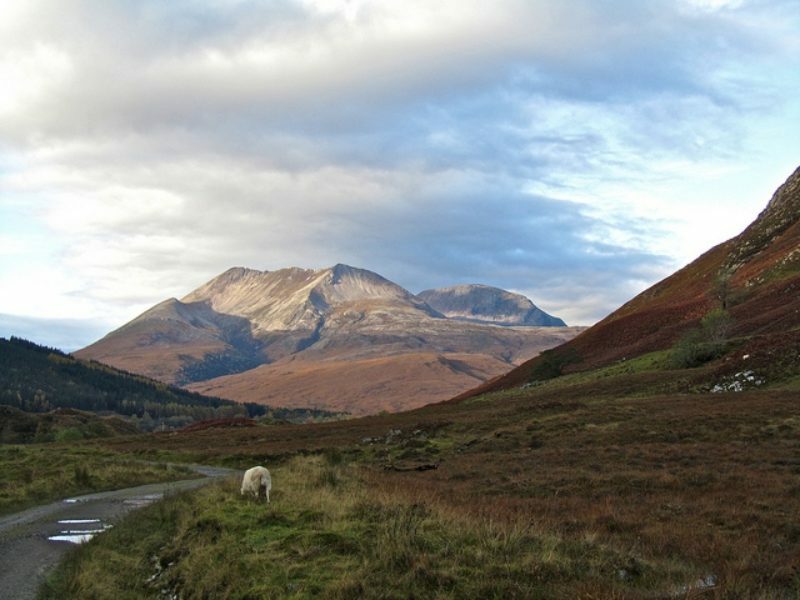 For the truly adventurous you could head north from Incheril along the shores of Loch Maree to Letterewe. From here you can climb to Bealach Mheinnidh and descend to cross Dubh Loch and Fionn Loch to Carnmore (where there is a barn that can be used for shelter). From here, the path heads west then northwest over the pass at Clach na Frithialaidh, descending into Gleann na Muice towards Larachantivore (a locked estate bothy). There is no doubt that this is a superlative alternative for the hardy and experienced walker, but it comes with a warning. The route crosses several big rivers that come up very quickly in times of heavy rain making them totally impassable (this is particularly true of the river in Strath na Sealga. If in any doubt at all don't try to cross, wait it out.